ISLAMABAD, July 30 (APP): The government and the real estate sector representatives on Saturday reached a consensus on the issues of fair market valuation of the property and Property Gain Tax (PGT). “After comprehensive discussions, which continued for last 10 days with the business community and representatives of the real estate sector, we have made some decisions with consensus which are acceptable to both the parties,” Minister for Finance Muhammad Ishaq Dar said while briefing mediamen after the meeting here. He said it was decided that the notification for fair market valuation of the real estate properties would be issued by the Federal Board of Revenue (FBR) instead of State Bank of Pakistan. The FBR, he said, would issue the notification regarding the agreed value of the property in 18 major cities of the country very soon, while DC rate would be applicable in the small cities, where the valuation had not been done yet. The second decision, he said, was that the retaining period of the property (acquired on or after July 1, 2016) was being reduced from five years to three years. Ishaq Dar said the real estate representatives demanded that the holding period should be reduced to two years but the government had decided to keep it at three years. He, however, said instead of imposing flat 10 per cent CGT on the sale of property, three different slabs had been evolved. However, he said the Capital Gain Tax would be exempted on the sale of all those properties which had been held for over three years. The minister said a flat rate of 5 per cent would be applicable on the properties which were purchased before July 01, 2016. He said the valuation would apply for CGT, withholding taxe and for the purpose of Section 111. “Basic threshold of Rs 3 million for the application of withholding tax on the purchase of immovable property has also been enhanced to Rs 4 million,” he added. He said appropriate legislation would be done to give effect to the proposed changes as agreed with all the stakeholders. He thanked the business community for cooperating with the government in this regard. He termed the consensus on decisions regarding taxes on the sale and purchase of the property a positive step which would help strengthen the country’s economy. Federation of Pakistan Chambers of Commerce and Industry (FPCCI) President Abdul Rauf Alam, on the occasion, thanked the Finance Minister and the government for accepting their major demand of properties valuation. He said the government representatives listened to their concerns and agreed to their demands. The real estate was going to now become an industry, which would be a major source of revenue for the government, he added. 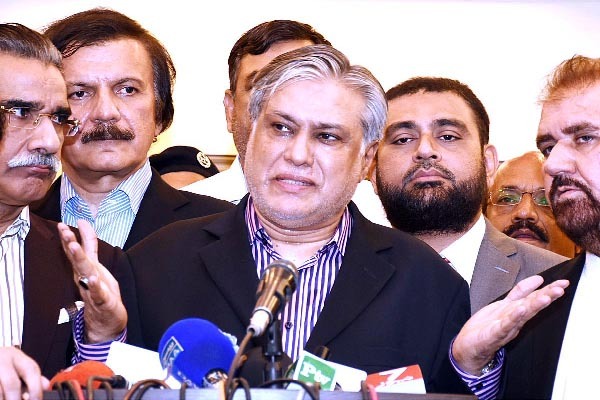 The Finance Minister also announced to retain 0.4 per cent withholding tax on the banking transaction of over Rs 50,000 for non-tax payers for one more month.